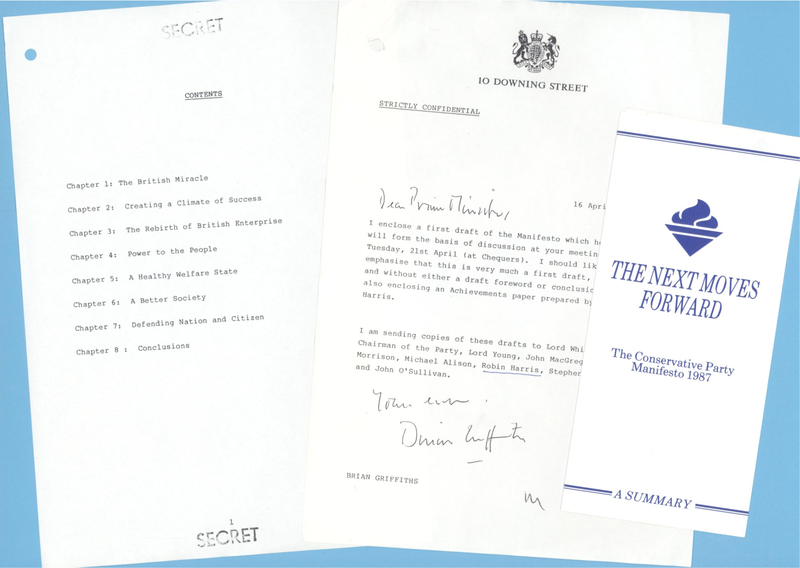 Top-level strategy papers that detail the Thatcher government’s efforts to secure a third term are among papers newly-released by the Conservative Party Archive for 2018. 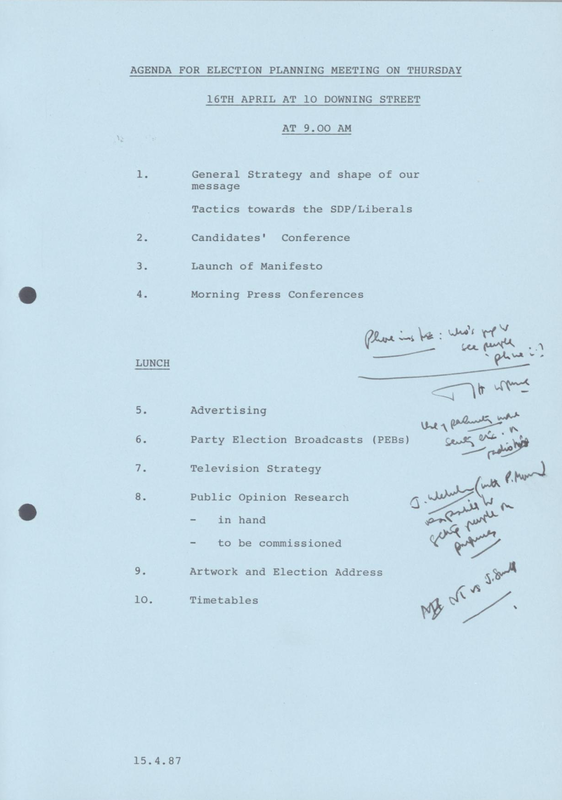 The previously-restricted documents, now made available for the first time under the 30 year rule, form part of an extensive series of party papers from the election year of 1987, including drafts of the Conservative manifesto, detailed plans of campaign activities, and election briefings prepared by the Conservative Research Department. 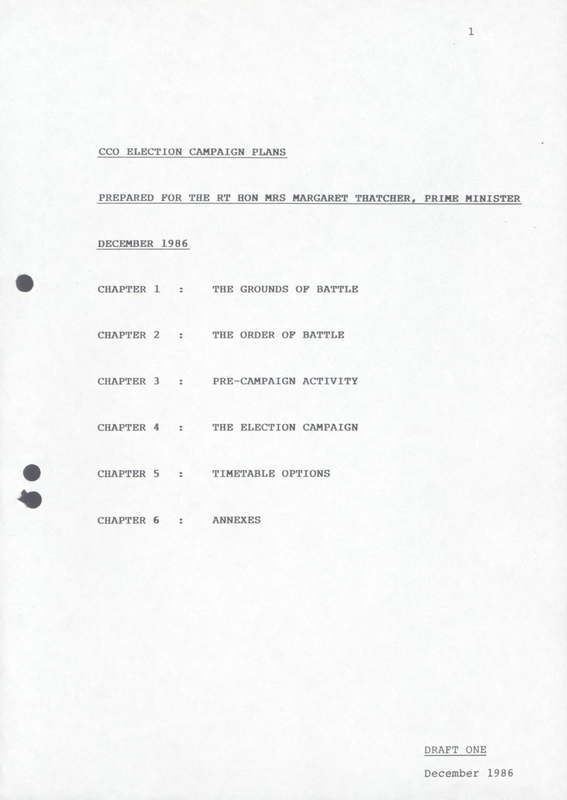 This piece briefly examines two such documents from one of the newly-released files [CRD 4/30/7/25], private briefings prepared for the Prime Minister’s election planning meetings in December 1986 and April 1987, to illustrate the research potential of these newly-available collections. 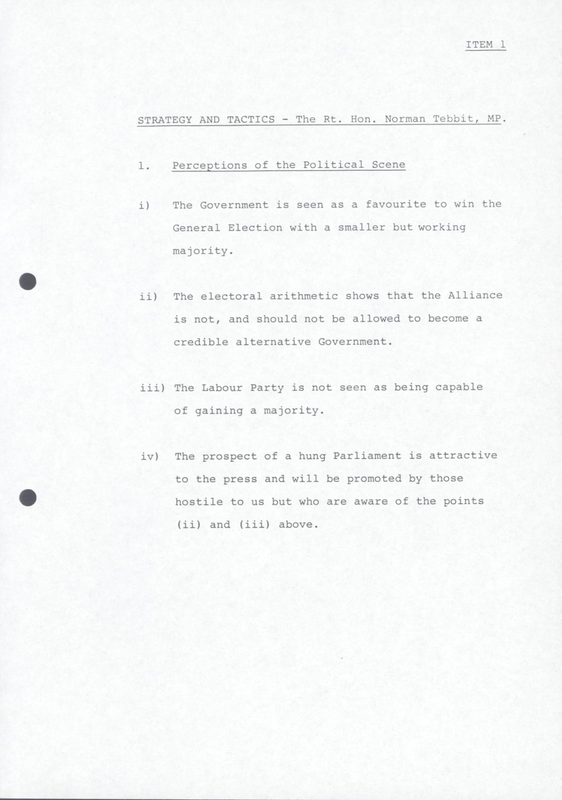 Agenda for meeting at 10 Downing Street, 16 Apr 1987 [CRD 4/30/7/25]. The Conservative Party’s electoral position was complicated by the growing North-South political divide. [CRD 4/30/7/25]. 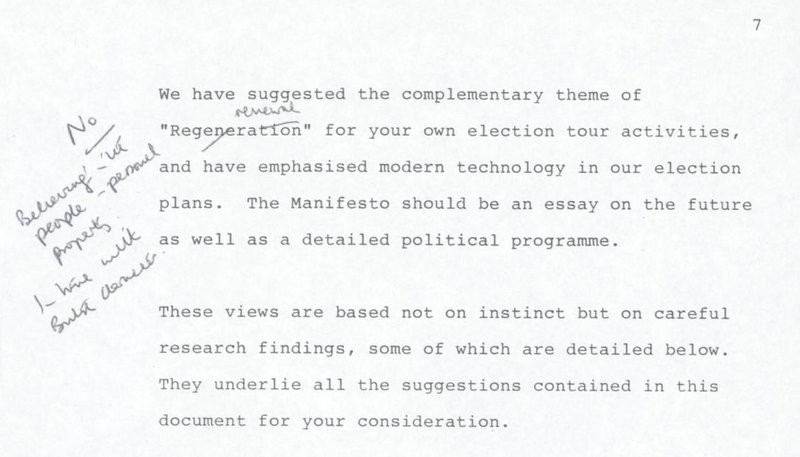 Early plans emphasised that the Prime Minister campaign on the idea of ‘Regeneration’, but as the notes in the margin show others favoured a more ideological campaign theme. [CRD 4/30/7/25]. These papers will provide an essential resource for scholars of the 1987 general election and the politics of the Thatcher era, complementing the Conservative Party Archive’s existing collections of published material from the campaign. 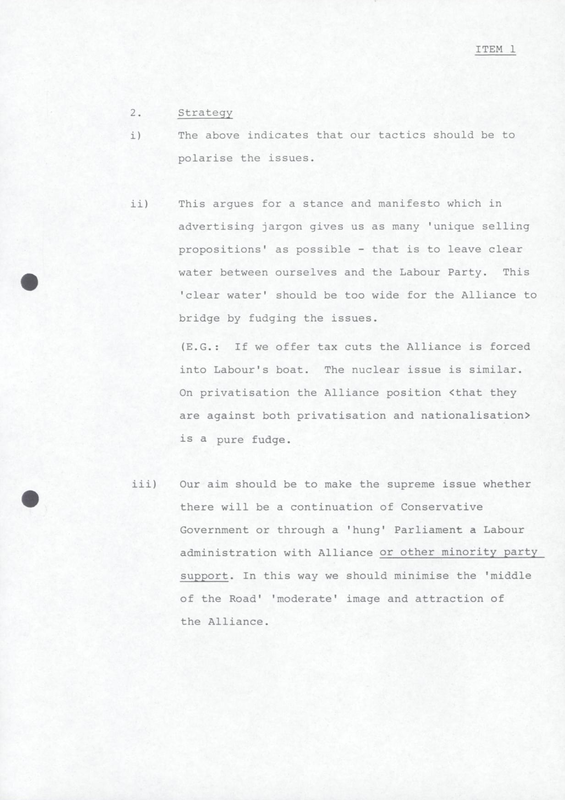 The Bodleian has also additionally taken receipt of a large donation of previously undocumented files from this period, so it is hoped that the CPA will be able to continue to expand its collections on the 1987 general election in years to come. Among the new releases is the first draft of the 1987 Manifesto [CRD/4/30/7/29], shown here next to the final version [PUB 157/4]. The material examined in this blog post will be made available from 1 Jan 2018. 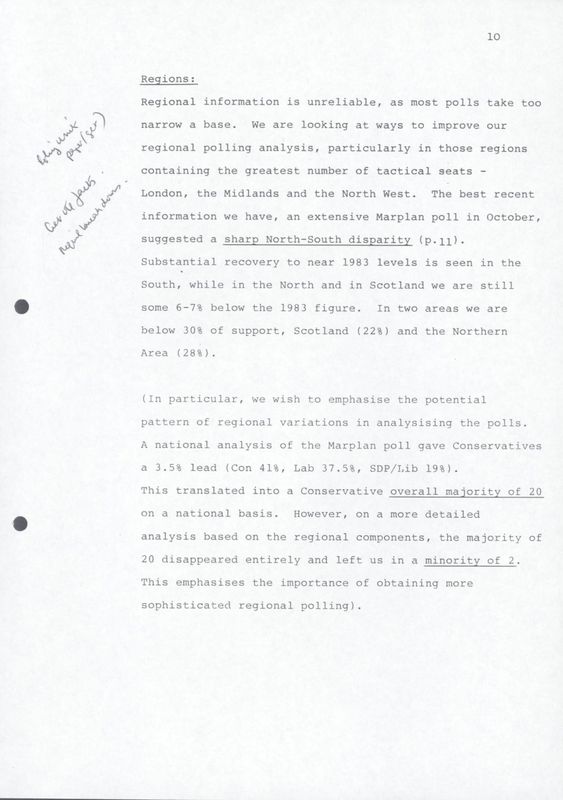 In addition to papers on the 1987 general election, the list of newly-released papers also includes material on the introduction of the poll tax, the party’s private polling and opinion research, and a wide range of briefings produced by the Conservative Research Department. For a full list of derestricted items, see the CPA website.